Last week, Russian leader Vladimir Putin gave a public rebuttal to an open media challenge leveled by BBC veteran correspondent John Simpson, after Simpson accused Russia of being an ‘international aggressor’ in the both Europe and the Middle East. Putin responded sharply by pointing that while Washington’s annual defense and military budget totals well over $600 billion, Russia’s annual budget is a meager $70 – $80 billion in comparison, and while the US operates well over 1,000 military bases and outposts globally, Russia has only two. In light of Russia’s recent effectiveness in striking terrorist targets in Syria, this raises another very important question: is Russia getting more “bang for its buck” in terms of defense than the US? A more apt question from American taxpayers might be: is the US military so over-bloated that it’s no longer competitive in real terms? That said, just how badly is the federal government ripping off the American taxpayer? TRILLION DOLLAR LEMON: US F-35 Fighter project has deemed the country’s most expensive failure ever. “The SecDef [US Secretary of Defense Ashton Carter] issued this warning before Russia stunned the U.S. with its long-range missile and electronic communications-jamming capacities. How could this be happening, when U.S. military spending dwarfs that from the rest of the world? Money is being thrown away on ridiculous things like a Homeland Security seminar called “Did Jesus Die for Klingons Too?” and mansions and personal chefs for generals. Indeed – as many lottery winners and star athletes will tell you – it’s easy to piss away even huge sums of money over a couple of years’ time without discipline. And plain old corruption is wasting huge sums and dramatically weakening our national security. Well, here’s some indication: $8.5 trillion dollars in taxpayer money doled out by Congress to the Pentagon since 1996 … has never been accounted for. 2. Fighting the Wrong Wars. A closely-related issue is that the war-fighting assets are being squandered, spread thin and distracted by fighting wars which decrease our national security. The wars in Iraq and Afghanistan were the most expensive in U.S. history, costing between between $4 trillion and $6 trillion dollars. And we spent additional boatloads of money carrying out regime change in Libya, Syria and elsewhere. But these wars have only caused ISIS and the Taliban to flourish. We’re arming and supporting brutal dictators … which is one of the main reasons that terrorists want to attack the U.S.
3. Never-Ending War Destroys the Economy. We’re in the longest continuous period of war in U.S. history. The Afghanistan War has been going on for 14 years … as long as the Civil War (4 years,), WW1 (4 years) and WW2 (6 years) COMBINED. Wars which drag on are horrible for our economy. A weak economy – in turn – makes it more difficult to sustain a leadership role in defense in the long-run. And Americans are sick and tired of war. If our national security was actually threatened, it might be hard for the government to rouse our commitment and motivation. 4. More Bang for the Buck. China has the world’s largest economy when measured by “purchasing power parity” … meaning how much Chinese can buy in their their local currency in their local economy. And see this. Therefore, China can buy locally-produced military parts and services more cheaply than the U.S. can. The lowest-paid U.S. soldiers earn about $18,000 a year. In comparison, in 2009, an equivalent Chinese soldier was paid about a ninth as much. In other words, in 2009, you could hire about nine Chinese soldiers for the cost of one U.S. soldier. Even that figure doesn’t account for health care and veterans’ benefits. These are much higher in the U.S. than in China, though precise figures are hard to obtain. This is due to higher U.S. prices for health care, to higher prices in general, and because the U.S. is more generous than China in terms of what it pays its soldiers. Salaries and benefits, combined, account for a significant percentage of military expenditure. But labor costs aren’t the only thing that is cheaper in China. Notice that China’s gross domestic product at market exchange rates is only two-thirds of its GDP at purchasing power parity. This means that, as a developing country, China simply pays lower prices for a lot of things. Some military inputs — oil, for example, or copper — will be bought on world markets, and PPP won’t matter. For others, like complicated machinery, costs are pretty similar. But other things — food or domestically manufactured products — will be much cheaper for the U.S.’s developing rivals than for the U.S.
Those who follow global security issues have known about this issue for a long time. But somehow, this fact hasn’t penetrated the consciousness of pundits or made its way into pretty, tweet-able graphs. 5. Theft. The U.S. Naval Institute, Fiscal Times and others document that the Chinese have greatly accelerated their weapons development timeline by spying on the West and shamelessly copying our military inventions and designs. If the NSA and other spying agencies had used their resources to stop foreign governments from stealing our crown jewels – instead of using them to gain petty advantages for a handful of knuckleheads – we’d be a lot better off today. 6. Geography. 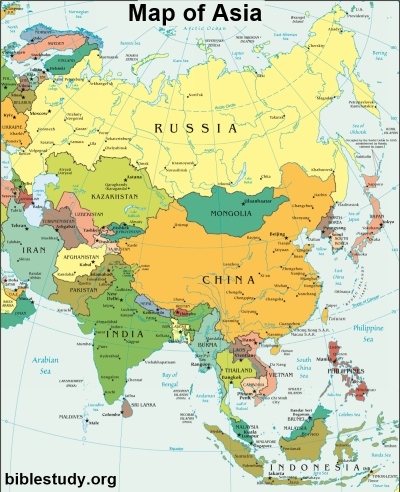 Russia is almost twice the size of the U.S. Russia and China together are so massive – forming such a giant swath of land-based territory, so much closer to the Middle East than America is – that it gives their militaries an advantage. The U.S., situated in the peaceful, relatively unpopulated Western Hemisphere, is very far away from the location of any foreseeable conflict. China isn’t going to invade Colorado (sorry, “Red Dawn” fans! ), but it might invade Taiwan or India. Simply getting our forces to the other side of the world would require enormous up-front expenditures. A recent RAND report, “The US China Military Scorecard,” … argues that China is catching up to the U.S., is becoming more assertive and confident, and has geography on its side. And Russia’s proximity to Ukraine, the Baltics and other neighboring countries gives it a huge advantage.